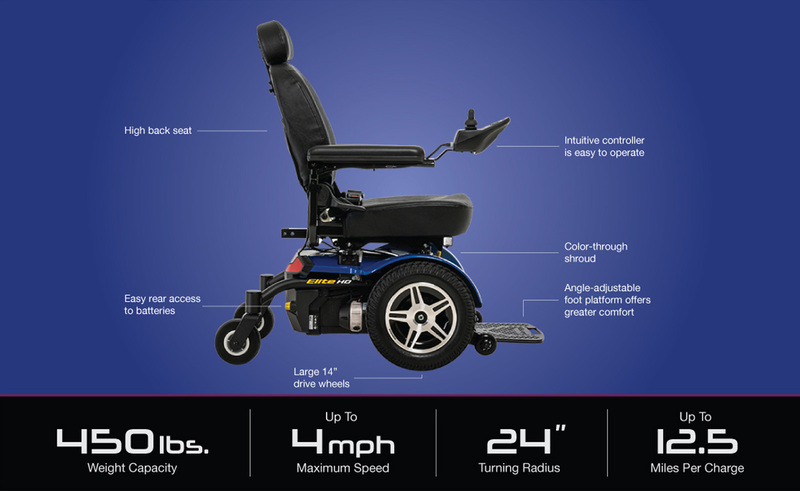 Enjoy a powerful, durable, and affordable power wheelchair by investing in The Pride Jazzy Elite HD. 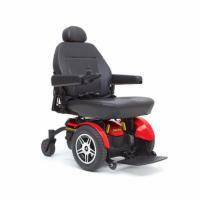 This heavy duty mobility device has a weight capacity of 450 lbs. and is just as easy to maneuver as our smaller models. The 14 inch knobby front drive wheels help provide extra traction and increase performance. In addition, this model comes with a long-lasting battery that can travel almost 10 miles on a single charge!